People who choose not to vaccinate has emerged into a global health threat in 2019, said the World Health Organization. "Vaccine hesitancy," which WHO describes as "the reluctance or refusal to vaccinate despite the availability of vaccines" is among the organization's top global threats for the year, according to a report released. WHO said vaccines prevent 2-3 million deaths a year, and improved global coverage on vaccinations could stop an additional 1.5 million deaths annually. The agency cites measles, which has seen a 30 percent increase in cases worldwide. "The reasons for this rise are complex, and not all of these cases are due to vaccine hesitancy," said WHO in a statement. "However, some countries that were close to eliminating the disease have seen a resurgence." In the U.S., the number of young children who aren't getting vaccinated is rising. Between 2001 and 2015, the number of unvaccinated babies and toddlers has quadrupled, according to the Centers for Disease Control and Prevention. Via USA Today. Preventing Breast Cancer Just Got Easier. Will More Women Give These Drugs a Try? Breast cancer will strike 1 in 8 women in her lifetime. But women who face an increased risk of being that one unlucky patient may improve their chances with three prescription medications, according to a new report. If 1,000 women took one of the three medications for roughly five years, somewhere between seven and 18 breast cancers could be prevented, and possibly more. But each of the drugs — two originally used to treat breast cancer and a third that prevents the bone-thinning disease osteoporosis — comes with the possibility of serious side effects, including blood clots and a higher likelihood of uterine or endometrial cancer. That mixed picture prompted a panel of preventive healthcare experts to suggest that doctors routinely discuss these medications with women who have an elevated risk of breast cancer. For women at average risk of breast cancer, the harms of the drugs clearly outweigh their benefits, the panel said. Via LA Times. Sleeping less than six hours every night could increase your risk of cardiovascular disease, said a study. The study focused on 4,000 people with no known history of heart disease. Their average age was 46, and two-thirds of participants were men. Participants wore an actigraph, a tool used to measure activity, for seven days to study their sleep. They also 3D heart ultrasound and cardiac CT scans performed to look for heart disease. Results of the study published in the peer-reviewed Journal of the American College of Cardiology showed people who slept fewer than six hours a night were 27 percent more likely to develop atherosclerosis — a buildup of plaque in the body's arteries — compared to those who got between seven and eight hours of sleep. Via USA Today. The epidemic of drug overdose deaths is worsening at a startling rate among middle-aged women, federal health experts reported. Drug overdose deaths have soared among women over 30 starting in 1999 — with the biggest increase among women aged 45 to 64, the team at the Centers for Disease Control and Prevention found. Deaths from drug overdoses increased by 260 percent among women aged 30 to 64 between 1999 and 2017. And the rate of drug overdose deaths from opioids increased by an enormous 492 percent among women aged 30 to 64. Via NBC News. Birth control that you have to remember every day (like pills) or every time (like condoms) doesn’t always work so well. It’s one of many reasons that 40 percent of pregnancies in the U.S. are unplanned. Long-acting birth control such as implants and intrauterine devices, IUDS, are far more reliable, but they require a doctor visit and are not as popular. A team at Georgia Tech has invented a patch that women can press into an arm or a leg and get a month’s worth of birth control — no doctor visit needed. The patch uses dissolvable microneedles that implant into a user’s skin and slowly dissolve over time, delivering the hormone that is the basis of the most popular method of contraception, the team reports in the journal Nature Biomedical Engineering. The technology is based on a similar approach developed by the university to make needle-free vaccines. Via NBC News. Elevated cerebrospinal fluid (CSF) neurofilament light (NfL) protein levels — but not CSF total tau (T-tau), phosphorylated tau (P-tau), or CSF neurogranin (Ng) levels — are a risk factor for mild cognitive impairment (MCI), according to the results of a prospective, population-based study. Findings from these analyses from the Mayo Clinic Study of Aging, conducted between January 2004 and December 2015, were published in JAMA Neurology. The researchers sought to determine whether CSF NfL and CSF Ng levels are associated with risk for MCI, the effect size of these markers vs CSF T-tau or CSF P-tau regarding risk for MCI, and whether CSF amyloid-β 42 modified any of these associations. Cox proportional hazard regression models were used to establish whether the baseline CSF markers, continuous and in quartiles, were associated with risk for MCI among a population-based cohort of participants without cognitive impairment. Via Neurology Advisor. We've distilled Mayo's process into four steps that you can use, regardless of the unit or patient population you're targeting…1.Map existing care pathways using TDABC. Mayo first developed process maps of various stroke care pathways and used TDABC to assign each step of the pathway a comparable cost-per-time value. Historically, all stroke patients were sent to the intensive care unit (ICU); Mayo also maintained a neuroscience progressive care unit (NPCU) that could receive stroke patients after the ICU. By developing these process maps, the team found that a stay in the NPCU cost an average of $500 less per day than in an ICU. Via Advisory Board. Twenty years ago, the sleep medicine program at Mayo Clinic did 18 pediatric sleep studies. Last year, it did more than 800. Although kids are still only a fraction of the sleep medicine patient population, it's been growing quickly as doctors have focused on the importance of sleep to child and teen development — and realized that sleep disorders like apnea aren't limited to adults. Suresh Kotagal and Robin Lloyd, two doctors at Mayo's Center for Sleep Medicine, joined MPR's Angela Davis to talk about sleep and kids. Via MPR. The study adds to the overall picture of aging and cognition, noted Ron Petersen, MD, PhD, director of the Mayo Clinic Alzheimer's Disease Research Center in Rochester, Minnesota, who was not involved with the research. "When you look at cognition and aging, you have a whole host of players that contribute -- amyloid and tau are big players, but there's also vascular disease, there's alpha synuclein, there's TDP-43, and other things we probably haven't discovered yet," Petersen told MedPage Today. "It's really a collection of all these different pathologic elements that contribute to a person's clinical state and cognitive function as they age. Vascular disease is a prominent one. And small vessel disease is a prominent one, and it goes up rather dramatically with age." Via MedPage Today. 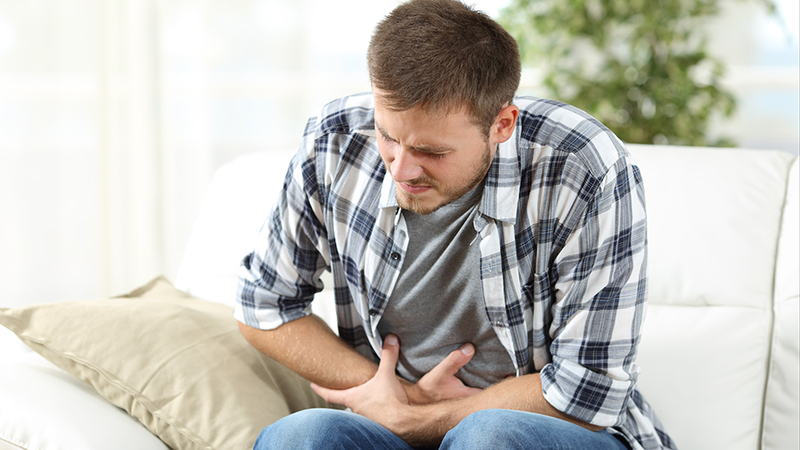 Norovirus is a highly contagious viral infection that is commonly referred to as "stomach flu." However, it is not related to the flu, which is caused by the influenza virus. "Norovirus is a virus that causes gastroenteritis," says Dr. Nipunie Rajapakse, a pediatric infectious diseases specialist at Mayo Clinic. Via Mayo Clinic News Network. 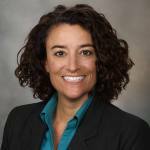 Gina Chiri-Osmond is a Marketing Channel Manager at Mayo Clinic Laboratories.